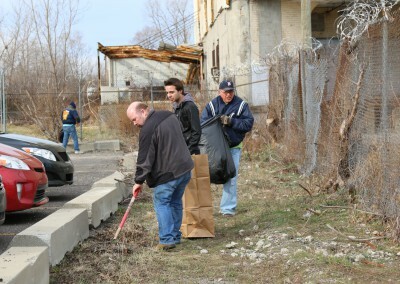 March 19th was officially the last say of winter (hooray! 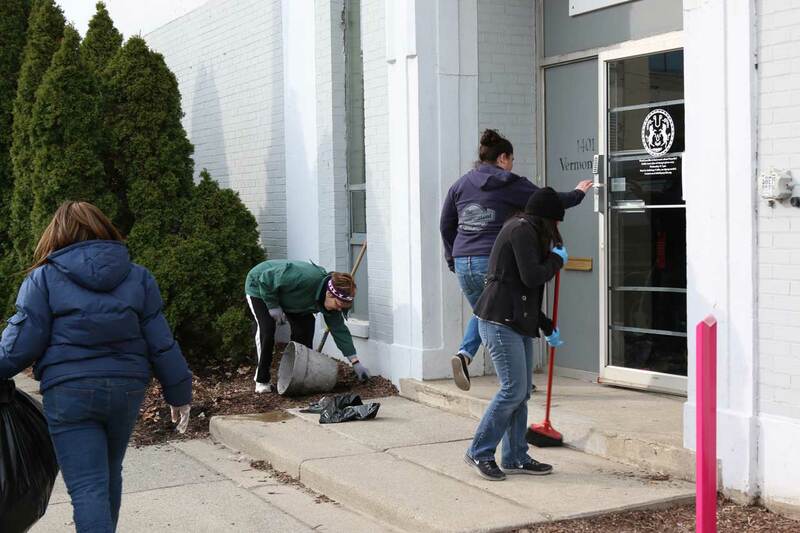 ), and A Time to Help figured it would be a good day to get a head start on spring cleaning. 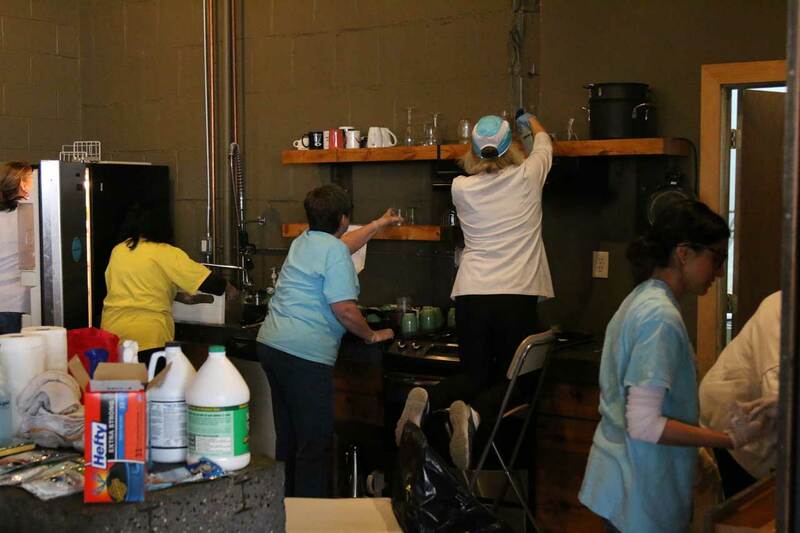 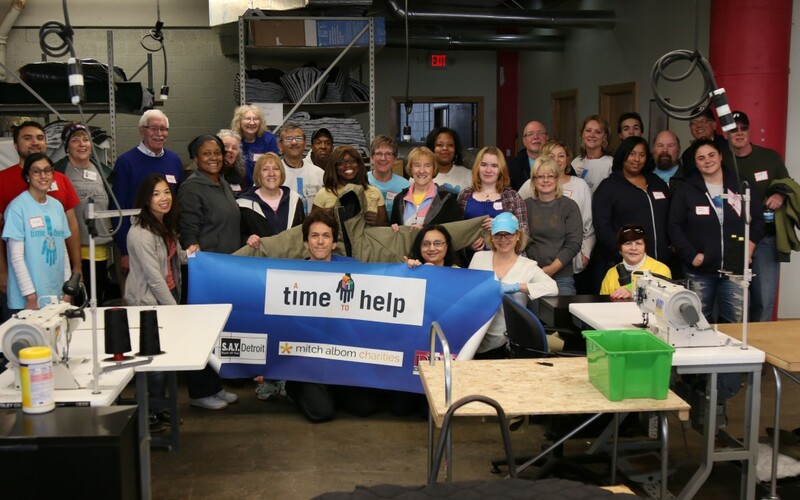 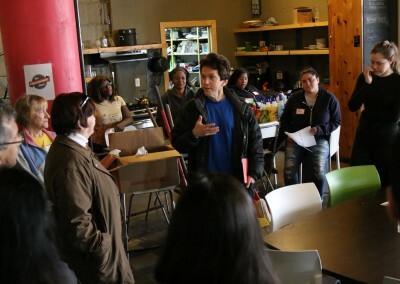 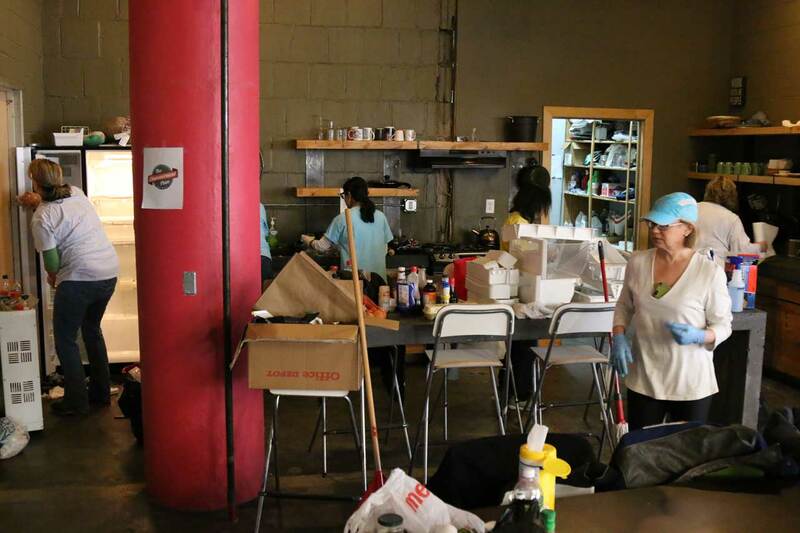 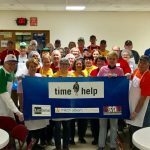 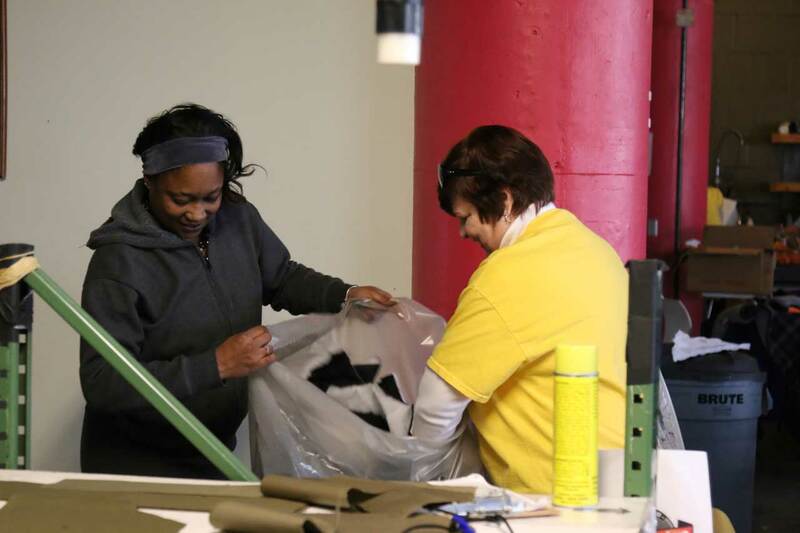 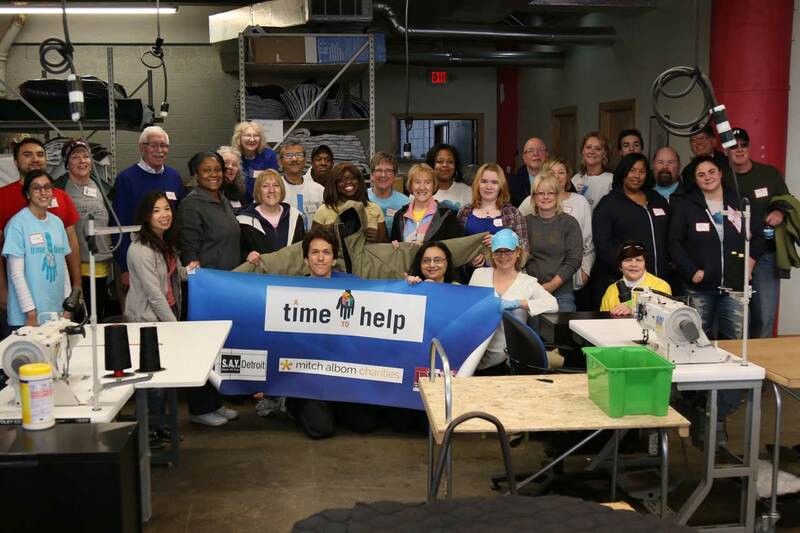 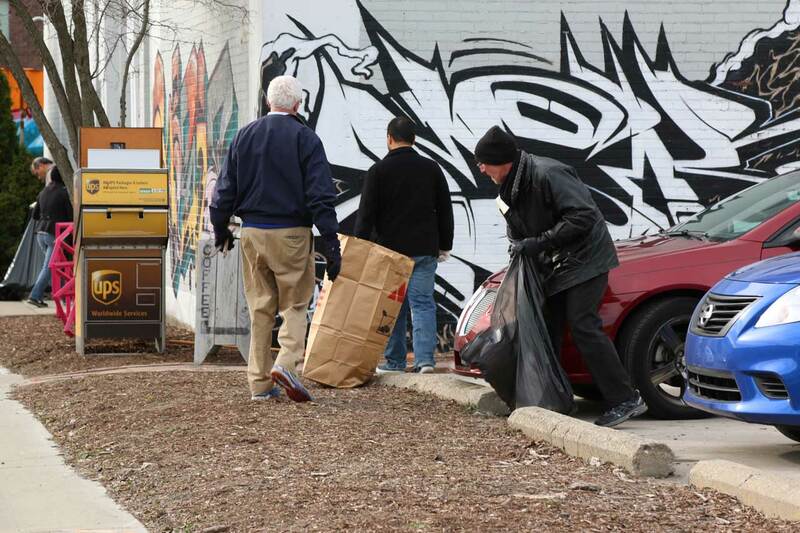 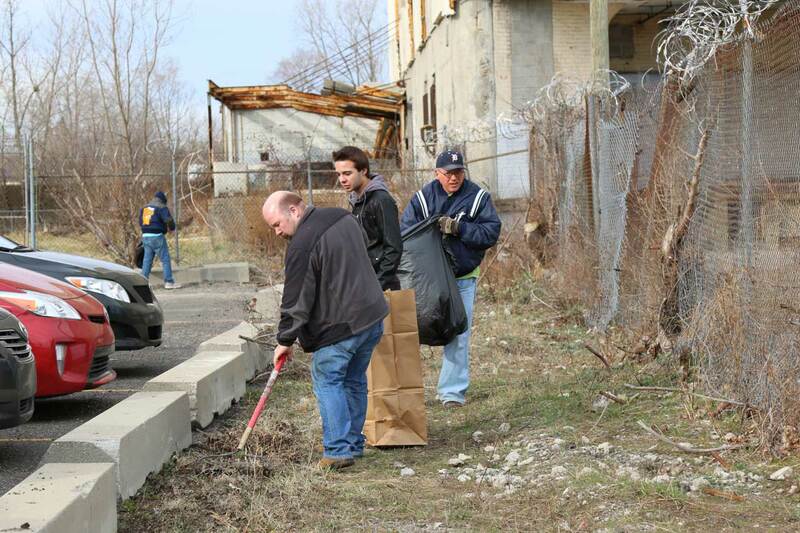 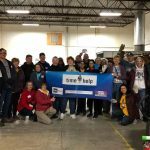 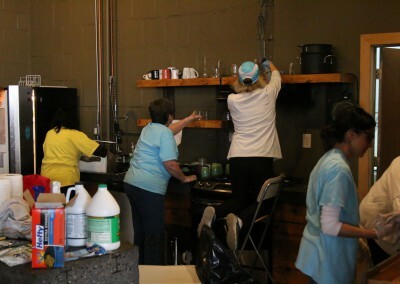 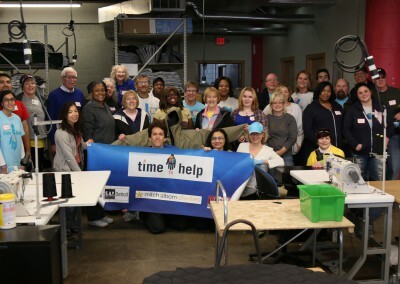 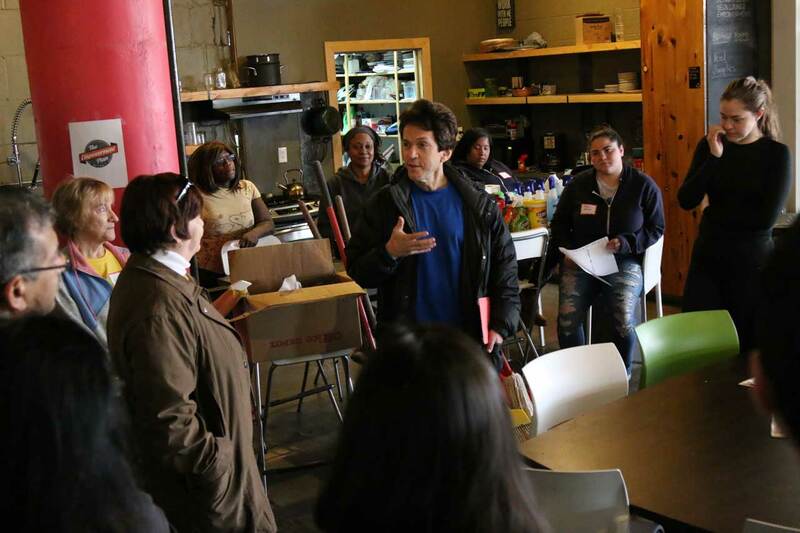 Twenty-six volunteers rolled up their sleeves and armed themselves with garbage bags, brooms and Windex to help out one of Detroit’s most inspiring charities; The Empowerment Plan. 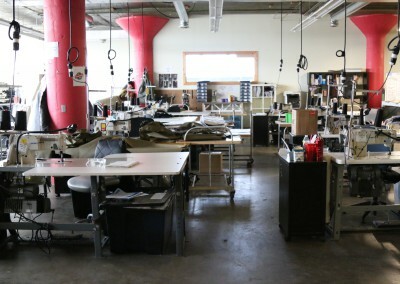 The Empowerment Plan is a Detroit-based nonprofit organization dedicated to serving the homeless community. 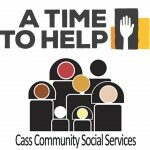 Their goal is to help build a better life for those that have become trapped in the cycle of homelessness. 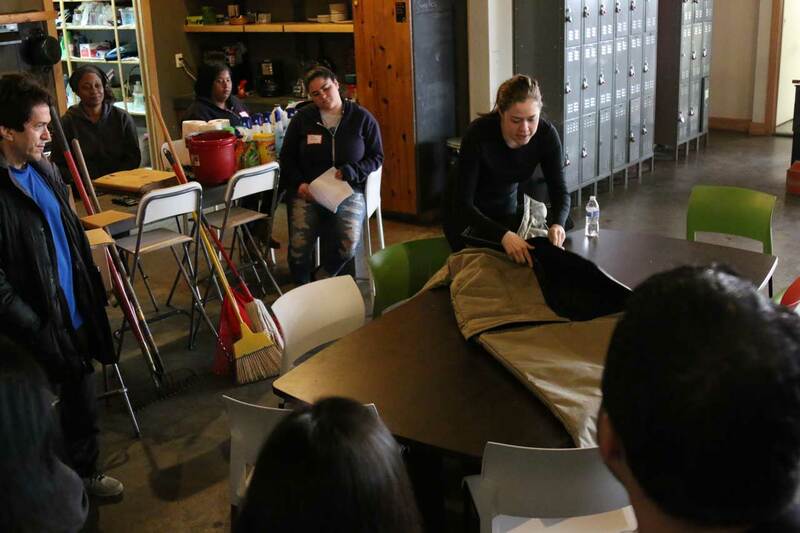 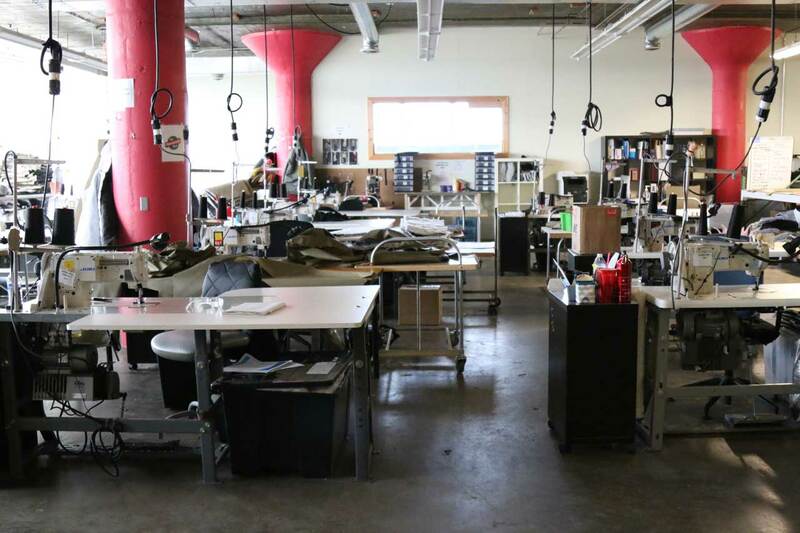 They mostly hire homeless parents from local shelters to become full time seamstresses so that they can earn a stable income, find secure housing, and gain back their independence for themselves and for their families. 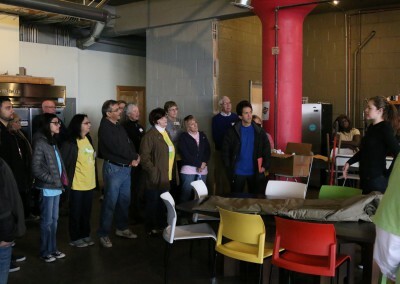 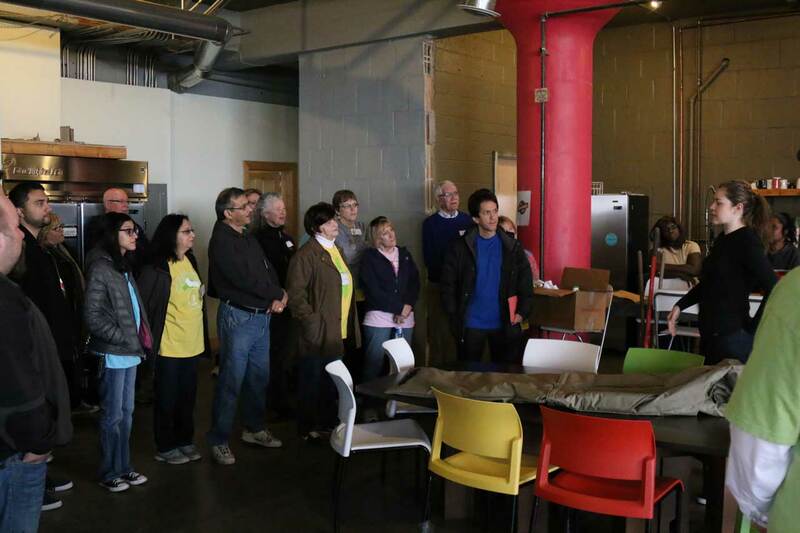 It’s safe to say that the story behind the Empowerment Plan inspired every volunteer who attended on Saturday. 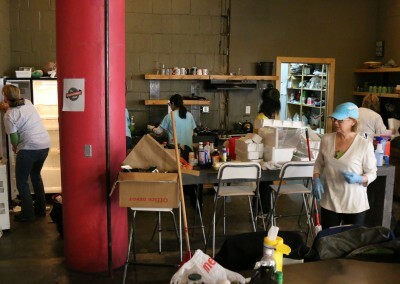 Their hard work and determination not only helped clean the tables, floors, and chairs but also brought an extra sparkle of light and love to the workshop.